Spectrum Screen Printing offers our "Every Garment Guarantee" on all our services. We are friendly, knowledgeable, and the best at what we do. With such a wide variety of options, Spectrum Screen Printing can assist you in making your Company, Group, Team, or Event more uniquely identified with quality custom garments. At Spectrum Screen Printing, we take the word custom to a whole new level. We are of skillful in creating the design you want from a drawing, sketch, file, or just an idea. We use only the highest quality inks that are designed to provide the greatest adhesion, best color, and the durability to last for the life of the garment. We also offer a variety of specialty inks that include Metallic, Phosphorescent and Puff Ink. Direct to garment digital printing produces outstanding image quality with durable water based inks that are as soft as the garment itself. The ink is wash fast, vibrant and best of all "Breathable". 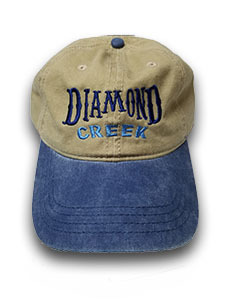 Embroidery is often the choice method for decorating caps, jackets, golf shirts, and other items. Embroidered garments give the perception of class, quality and professionalism. Our Art Department is capable of both Creative and Reproductive Artwork. We can work from your idea, sketch, or graphic and often offer cost saving tips and advice that would improve the overall appearance of the finished product. We handle everything from corporate logos, sports logos, custom designs for special events, family reunions, or something to set your club or organization apart. Outfitting your company with garments that display a company logo provides a "Professional Appearance", and promotes teamwork within your group. In today's corporate world, making a good impression is essential, and nothing can achieve that better than quality corporate apparel. 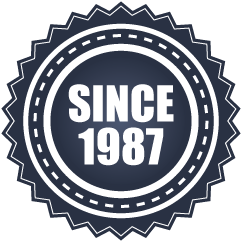 We work hand in hand with several school clubs and PTA organization throughout Wake and surrounding counties to customize apparel year-round! We have the experience and dedication to assist members with creating the perfect garment to show off school pride while staying in budget! If your sport is Baseball, Football, Basketball, Hockey, Soccer, Volleyball, Lacrosse, Cheerleading, or even Powder Puff Events, we can outfit you with the look of a winner. We also carry a wide selection of caps and visors. Whether your event is expecting a handful in attendance or hundreds of people, Spectrum Screen Printing stands ready to fulfill you Special Event needs. From sales, to art, to production and delivery, we would like to opportunity to make your special event stand out from the rest. Copyright © 2019 Spectrum Screen Printing, LLC.